The mission of the Office of Academic Affairs is to uphold the academic integrity, core values and institutional mission of the University. The Office of Academic Affairs strives to continue the historical legacy of Harris-Stowe by creating an academic culture geared to nurturing and producing scholars who will be dynamic and engaged citizens, prepared to be active participants within a global society. The grade point average (GPA) is computed only for college-level courses completed with grades of A, A-, B+, B, B-, C+, C, C-, D+, D, D-, F and AF, with grade points assigned. For each University-level course in which a grade of A, A-, B+, B, B-, C+, C, C-, D+, D, D-, F, and AF is given, the number of quality points for the course having that grade is found by multiplying the number of semester hours the course carries times the number of quality points determined by the grade given. For transfer courses, quality points will be assigned consistent with the policy of the institution at which the courses were taken, if that institution is using the four-point scale; otherwise, the assignment of quality points will be based on the formula generally used by Harris-Stowe’s Director of Admissions. The sum of the quality point products for all college-level courses taken by the student with any one of the letter grades, then divided by the sum of the semester credit hours for those courses, equals the GPA. Some one-credit hour courses and those numbered in the 800 series will receive the grade of Credit (CR) or No Credit (NC), except as otherwise approved by the Vice President for Academic Affairs. Graded Status (Gr) Grades are awarded at the end of the term in accordance with the University’s 4.00 point system. Under the University’s grade system, students in University level courses will receive one of the following grades: A, A-, B+, B, B-, C+, C, C-, D+, D, D-, F or AF. Note: Courses numbered below 0100 are developmental. These courses receive institutional credit only, are excluded from grade-point computations and class status determination, and fulfill no degree or certification requirements. A. AF - Failure and administrative withdrawal due to excessive absences. Performance is judged to be unsatisfactory. B. AW - Student is administratively withdrawn from a course (after the census date) due to conditions determined to be beyond the student’s control, as approved by the chief academic officer. C. NA - NA is NOT a grade. Student is administratively withdrawn, based upon the student’s nonattendance to the course, by the attendance deadline. D. WN - Authorized withdrawal initiated by the student during either of the following periods: (a.) During a regular semester - from the Official Census Date to the beginning of the 10th week of the semester OR the last day to drop or withdraw, as indicated by the course schedule or, (b.) During a summer session - from the Official Census Date to the last day to drop or withdraw for the session, as indicated by the course schedule. Incomplete grades must be approved by the Office of Academic Affairs, prior to issuance of the grade. The student must complete all required work within the first nine weeks of the subsequent semester. Note: An Incomplete may not be issued or made up during the Summer Session. F. CR - University credit earned in a course which has been identified in the course schedule as a credit/no credit course. Hours earned in such courses are not considered in the computation of the semester or cumulative grade point average. G. NC - University credit not earned in a course which has been designated in the course schedule as a credit/no credit course. This lack of earned credit has no effect on the student’s grade point average because it is not entered into the computation. When a course is repeated under the grade-forgiveness policy, the new grade will be calculated under the grade point computation procedure. It is understood that all recorded grades (A, B, C, D, and F) are considered in the GPA. Prior to spring 2000, only repeated related grades of WL or WR are excluded from the grade point computation. Beginning with the spring 2000 semester, courses taken and repeated are automatically calculated and the application for grade forgiveness is not required. The course credit will be counted only once, as appropriate, toward satisfaction of degree requirements. Application for grade forgiveness grades by WL or WR must be made to the Registrar. A grade of WR or WL may occur only once for each course taken prior to spring 2000. Courses taken spring 2000 and after, maintain the grade earned but reflect that the course was repeated. 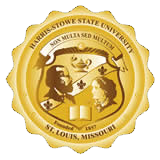 Courses completed at Harris-Stowe State University with final grades, whether initial or repeat of C or higher, cannot be repeated for credit or for revision of previously earned grades in those courses. All candidates for initial teacher education certification must receive a grade of C or higher in all professional teacher education courses and a grade of C+ or higher in the subject matter courses for the Middle School and Secondary Education programs. A grade of C or higher is required for all professional-level courses in all degree programs. A repeat of courses taken prior to spring of 2000, in which a C- or less was earned, require a grade forgiveness form. Courses repeated after that time do not require the grade forgiveness form. Academic Fresh Start cannot be utilized as a means to achieve academic honors, athletic eligibility or to avoid academic probation. Academic Fresh start can only be used one time and is only applicable to undergraduate students pursuing a degree at Harris-Stowe State University. The Standards of Academic Progress for students of Harris-Stowe State University are set forth below. These standards have been established in compliance with the laws and regulation of the United States regarding student financial aid. The standards are consistent with guidelines of relevant state agencies and national accounting groups. In order to maintain good academic standing at Harris-Stowe State University, a student must achieve a minimum cumulative grade point average (CGPA) of 2.0. Whenever a student’s cumulative grade point average falls below the minimum 2.0 requirement, the student will be placed on academic probation. Enrollment for the next semester will be limited to 12 credit hours (six hours for part-time students) and the student will be required to meet with the University’s retention specialist and participate in academic support programs throughout the probationary period. The student must earn at least a 2.0 semester grade point average or higher for that semester for continued probation. A student is removed from academic probation upon achievement of a 2.0 cumulative grade point average. A student will be suspended for one semester if he or she does not achieve a semester GPA of 2.0 during the academic probationary period. After being on academic suspension, the student may seek reinstatement to the University through an appeal to the Academic Standards Committee. If such an appeal is approved by the committee, the student will be required to sign an academic contract developed by the Academic Standards Committee, which will set forth specific actions that the student must successfully perform toward achieving the 2.0 minimum CGPA. A student must achieve a minimum semester GPA of 2.0 during the probationary period. If a student is academically suspended after reinstatement, the length of the suspension shall be for at least two semesters. If a student is suspended for a third time, the academic suspension shall be permanent. Note: Summer sessions do not constitute a semester. The Academic Grievance Procedure is established for the purpose of reviewing grades contested by students. During the follow-up investigation of the academic grievance, efforts are made to determine whether established grading criteria were fairly applied. The following grievance procedure is to be followed by any student who believes he or she has received an unjustified grade in a course and wants a review of the matter. The instructor is required to respond in writing to the written grievance. Note: If the student is not satisfied with the instructor’s written response, he or she may make a second step appeal to the department. The student is required to secure a copy of the Departmental Academic Grievance Procedure form from the appropriate department. This document will inform the student of all appropriate instructions for processing this review at the department level. The department chair shall notify the student, in writing, of the department’s decision within 30 days of receipt of the student’s second-step appeal. Note: If the student is NOT satisfied with the results of the second step of his or her grievance, he or she may make a third-step appeal to the Vice President for Academic Affairs. Step 3 – At the Vice President for Academic Affairs’ Level The third-step appeal must be in the form of a memorandum similar in format and attachments to that used in Step 1, including the student’s reasons for regarding the Step 2 responses as unsatisfactory. The third-step appeal memorandum must be submitted by the student to the Vice President for Academic Affairs within five school days after receipt of the chair’s response. Within SEVEN DAYS after receipt, the Vice President for Academic Affairs will appoint a hearing committee consisting of at least two faculty members and at least one student. All appointees to this committee must be disinterested, neutral parties. The hearing committee must conduct and conclude an investigation of the matter aggrieved within 30 days after its appointment. Committee’s recommendations for a resolution of the grievance. The decision of the Vice President for Academic Affairs is final. Additional information regarding academic concerns can be viewed from a document prepared by the Coordinating Board of Higher Education Policy On Complaint Resolution on the Missouri Department of Higher Education Website (see this link https://dhe.mo.gov/policies/). Faculty members should clearly identify course-specific standards, which interpret University and departmental policies related to academic integrity. These explanations should appear in the course syllabus and in all other explanations of course requirements. Faculty should require the inclusion of the honor pledge on all academic work submitted for grading. Faculty members who discover evidence of academic dishonesty will arrange to meet with the student(s) suspected of the alleged infraction, as soon as possible. Prior to this meeting, the faculty member may choose to consult with the vice president or the hearing officer. 1. The faculty member will assign an F for the assignment or exam during which the cheating occurred and a written summary of the incident will be forwarded by the faculty member to the hearing officer. 2. The hearing officer will contact the student to arrange a conference. 3. All official disciplinary sanctions, including grade sanctions, which are assigned to a student as a result of an act of academic dishonesty, will be recorded on the student’s official University transcript. 2. The hearing officer will institute disciplinary proceedings in accordance with those listed below. 3. No grade penalty should be assigned by the instructor until the case is finally resolved, including the process of hearing the student’s appeal, if any. If the charges cannot be resolved prior to the end of the semester, a grade of “I” should be assigned by the instructor. Students may file a grade appeal if a grade penalty for alleged academic dishonesty violation occurs without proper adherence to the above procedures. Due to regulations set forth by the U.S. Department of Education, Harris-Stowe State University is required to verify attendance for all students enrolled at the University. Because the penalties related to attendance can have legal implications for the University, attendance policies must be clearly defined on each syllabus. The attendance policy should include expectations for labs and or discussion sections. Faculty should clearly explain and enforce their attendance policies, as defined in the course syllabus. When policies are specified in the course syllabus, faculty may take attendance into account when evaluating student performance, provided that absences are accurately documented by the instructor. Absences that are avoidable, unavoidable or due to University-sponsored activities are subject to the conditions of the Administrative Withdrawal Policy and to the specific conditions described below. Avoidable absences are absences which are not caused by extenuating circumstances. In the case of an avoidable absence, faculty is not required to allow the student to make up missed assignments. It is up to the discretion of the faculty member to accept late assignments due to avoidable absences. Unavoidable absences are those due to debilitating illness or personal emergency. Students must immediately inform their instructors of the reason(s) for the absence, in a timely manner, with supporting documentation, (i.e. a doctor’s statement or University team schedule). If unanticipated absences from class exceed one week, the student must inform Academic Affairs and provide supporting documentation. Academic Affairs will notify the student’s instructors. Unavoidable absences, approved by Academic Affairs, entitle the student additional time to make up all missed assignments, by a deadline agreed upon by the instructor and the student. Unavoidable absences still count as absences in courses where grade penalties are imposed for inadequate attendance. Students who participate in official University activities should be allowed to make up all missed assignments, tests and exams as a result of participating in these events. Certain assignments, such as group projects or presentations, may not be possible to make up. If the instructor intends to deny the opportunity to make up such assignments, the instructor should inform the student so that the student may be aware of the consequences. The student may then decide to take the course during another semester, to make other arrangements for the University-sanctioned event or to accept the consequences of the absence. If the number of University-related absences is not larger than those allowed for all students by the course policy, the student should not be penalized for these absences. In such cases, however, the student does not have a right to any additional absences in the event of illness or family emergency. If the University- related and unexcused absences exceed those allowed by course policy, the instructor will determine the appropriate penalty. The enforcement of class attendance policy resides with the instructor of record for each course. Harris- Stowe supports the enforcement of attendance policies through the official notice of withdrawal due to excessive absence. A student administratively withdrawn from a course will receive a grade as determined by the instructor of “AF”, “failure due to excessive absences” which will be included in the student’s grade point average or “AW”, “administrative withdrawal" for circumstances beyond a student’s control, which will not be included in the student’s grade point average. In the event that a student meets the conditions to be administratively withdrawn for excessive absence but also meets the conditions of the Incomplete Grade policy, instructors may request approval to issue an incomplete grade in lieu of the withdrawal. Once a student has been administratively withdrawn from a course for excessive absence, the withdrawal is valid and final. A student can only appeal an administrative withdrawal for excessive absences with their instructor if an error has occurred in the recording of his or her attendance. Students reported by instructors as not in attendance or having a 100% absence record through the Official University Administrative Withdrawal Date for attendance, will be administratively withdrawn from class(es) with no tuition or fees, except the admissions application processing and or late registration fees. The administrative withdrawal date for never attending courses may be found in the Academic Calendar available in the University Resources window of the MYHSSU Home page. Federal financial assistance awards will be cancelled and returned or reduced by the total number of classes that a student has been administratively withdrawn during that semester. In cases in which some courses were never attended, but others were attended, only the tuition of the courses never attended will be refunded to the payer. Administrative withdrawals for never attending meeting the aforementioned conditions are valid and will stand. A student may appeal administrative withdrawal for never attending with their instructor if an error has occurred in the recording of his or her attendance. While continuous enrollment until graduation is the expectation, the Leave of Absence provide eligible students the means to be absent from the University when unable to complete the semester and/or anticipates a need to discontinue enrollment for up to two full semesters or academic year (excluding summer or interim terms). Leave of Absence, when approved, provides the process for students to take a leave of absence from a degree program without being required to go through the re-admission process upon return to the University. Students on Leave of Absence are subject to the Student Conduct Code and other applicable University policies. A student granted leave of absence shall retain his/her admitted student status but would not have all the rights and privileges of a registered student. Leave of absences for professional and academic reasons (study abroad, internship, employment or professional development opportunities) or for personal reasons (financial, family, medical or other emergency situations) will be reviewed by the Provost or designee. Additional information is available in the Office of the Registrar. At Harris-Stowe State University, the Honors Lists are the equivalent of the Dean’s List. There are two such lists at this University, one for full-time classified students, and one for part-time classified students. are listed on the Vice President for Academic Affairs Honors List for full-time students. are listed on the Vice President for Academic Affairs Honors List for part-time students. The University has charters for several honor societies. These societies and the eligibility criteria for admission or election to them are set forth below. Alpha Chi is a national honor scholarship society founded in 1922 for accredited colleges and universities. Its purpose is to promote and recognize high academic achievement and good character and make scholarships effective for students in the various academic divisions of colleges and universities, both in the United States and in other countries. Active membership is restricted to regular undergraduate students of junior and senior standing in programs leading to a baccalaureate. The student must be in the top ranked 10 percent of students in his or her academic classification, including those previously elected to membership in the society. The student must be rated by the University’s total faculty group as successfully meeting the University’s character requirements. In an effort to promote a closer relationship among students in the field of education and to develop a more intimate fellowship with those dedicated to the teaching profession, the Illinois Education Club at the University of Illinois made a resolution to sponsor a national society similar to its own organization. Subsequently, the honorary education fraternity, Kappa Delta Pi, was incorporated on June 8, 1911. Local chapters of Kappa Delta Pi were soon in existence at several colleges and universities with schools of education. On June 6, 1931, Harris Teachers College, now Harris-Stowe State University, established the Gamma Lambda Chapter of Kappa Delta Pi. Sigma Tau Delta, the International English Honor Society, is open to students interested in English and who rank in the upper third of the student body for the semester of initiation. The resulting grade point average for this ranking is usually 3.0 or higher. The purpose of Sigma Tau Delta is to promote written expression, encourage worthwhile reading and to foster a spirit of good fellowship among men and women professionally engaged in the study or teaching of the English language and literature. The Phi Beta Chapter of Sigma Tau Delta annually produces a publication of students’ literary works called The Triangle. For further information, contact the College of Arts and Sciences in Room 210 of the Dr. Henry Givens, Jr. Administration Building. Kappa Mu Epsilon is a specialized honor society in mathematics, which was founded in 1931 to promote an interest in mathematics among undergraduate students. It has been a member of the Association of College Honor Societies since 1968. Its chapters are located at colleges and universities of recognized standing, which offer an appropriate mathematics program. Meetings and activities of Harris-Stowe’s chapter are held twice a semester in conjunction with the Mathematics Club, in addition to an annual national convention. Delta Mu Delta is an international business honor society established to recognize and reward superior scholastic achievement of students in business administration. The Lambda Pi chapter of the Society of Delta Mu Delta Honor Society is located in the Anheuser-Busch School of Business. To qualify for membership, students must be regular undergraduate students of junior and senior standing in business programs leading to a baccalaureate degree. Delta Mu Delta membership provides recognition for a lifetime. As the highest international recognition a business student can earn, it is appropriate to include Delta Mu Delta membership on one’s resume and to wear the Key and display the certificate with pride. Alpha Phi Sigma is a nationally recognized honor society for students in the criminal justice sciences. The society recognizes academic excellence displayed by undergraduate and graduate students of criminal justice and law school. To qualify for membership, undergraduate students must have completed at least three full-time semesters or equivalent, and at least four courses must be in the criminal justice related field. Undergraduate students must have a cumulative grade point average of 3.2 on a 4.0 scale, as well as a 3.2 average in criminal justice courses or rank in the top 35% of their class. Pi Gamma Mu is the oldest and preeminent honor society in the social sciences. Its mission is to encourage and recognize superior scholarship in the social science disciplines and foster cooperation and social service among its members. Pi Gamma Mu serves the various social science disciplines which seek to understand and explain human behavior and social relationships, as well as their related problems and issues. Juniors and seniors are eligible to join if they are in the upper 35% of the class, have a 3.0 grade average or better, and 20 semester hours in social science courses. The commencement convocation is held at the end of the fall and spring semesters. Students are responsible for familiarizing themselves with the University Catalog and all pertinent literature/documents that govern the requirements for graduation. Students are also responsible for maintaining a satisfactory grade point average, completing all requirements of their degree program and satisfying all other requirements for graduation. It is strongly recommended that students complete a degree audit at the end of the student’s completion of 60 credits. Students are required to file an application for graduation in the semester prior to the semester of anticipated degree conferral. Specific dates are listed in the University Calendar for each semester or session. Students with balances may not receive their diplomas, transcripts, degree verifications or participate in Commencement. In case of unusual circumstances, students who are unable to participate in the commencement convocation are required to notify the Office of the Registrar in writing and request permission to pick up or receive the diploma in the mail after commencement. The University is not responsible for diplomas once mailed. The policy making body of the Harris-Stowe State University Alumni Association is that body’s executive board. The day seniors graduate from the University, they officially become members of the HSSU Alumni Association. From that day to the last day in May of the following year, recent graduates enjoy free membership to the Alumni Association, which includes many benefits. For more information, please call (314) 340-3390, e-mail alumni@hssu.edu or visit HGA Room 110. In compliance with the law (Section 504, Rehabilitation Act and the American with Disabilities Act, "ADA"), Harris Stowe State University is committed to providing disabled students with reasonable accommodations. There are specific guidelines for the acquisition of accommodations and services under ADA. All students attending Harris-Stowe State University with a documented short or long-term disability are eligible and encouraged to register for services. Short term disabilities include but are not limited to: injury, surgery, complicated pregnancy, etc. How Do You Apply for Services? A copy of the documentation of your specific disability must be provided at the time of intake. How Is It Determined Who Gets What Accommodations? Accommodations are determined as a result of a comprehensive review and analysis of the Individual Educational Plan (IEP), 504 plans, professional medical and/or psychological reports, academic background and an interview with the student. Accommodation Letters - Once a student's eligibility has been determined, the ADA Coordinator prepares letters to professors, which verifies the existence of the student's disability and documents the need for accommodations and academic adjustments. The student is responsible for delivering the letters to the professors and formally requesting accommodations. Assistive Technology - Assistive technology is housed in the ARC. A computer is available with speech, text enlargement, voice recognition, and scanning capability in the library. Interpreting Services - Sign language and oral interpreting services by freelance interpreters for classes and special events by written request. Note Taking Assistance - The ADA office requests faculty assistance in locating a note taker from the class in which the student is enrolled. If students are not available from the class, the coordinator will assist the student with identifying outside note takers. Reading Services - ADA office provides assistive technology and text in Braille for students who are blind or have print disabilities such as dyslexia. Students are asked to obtain any available textbooks from Recording for the Blind and Dyslexic, prior to requesting books in Braille or on tape. All requests must be made in writing or in person. Test Accommodations - Accommodations may include extended time, alternative settings and/or use of adaptive equipment. Standard practice is time and a half for exams. Students with more severe or multiple disabilities may be granted additional time as determined by the ADA office. What If Accommodations Are Not Provided? HSSU strives to provide reasonable accommodations, and works to facilitate an agreeable working relationship between you and the University. If you feel that you are not being treated fairly because of your disability, you are encouraged to contact our office and make an appointment to discuss the issue. What If I Disagree With A Decision, How Do I File A Grievance? You may contact the ADA Coordinator to request a grievance form and instructions and timelines regarding filing a grievance will be provided. The Provost will be contacted if an agreement cannot be met. 8. Development and revise policies/guidelines for accommodating students with disabilities. 1. Meet with ADA Coordinator and provide appropriate documentation in a timely manner. It is recommended that students provide documentation at least prior to the start of the semester for which they are requesting services. Students should schedule an appointment with the instructor during the first few weeks of classes so that accommodations can be finalized. 3. Deliver faculty notification forms to the faculty members as soon as possible. 4. Follow guidelines regarding use of accommodations/ADA services. 5. Consult with the ADA Coordinator, within five business days regarding any problems encountered during the semester. 9. Meet with ADA Coordinator at least twice a semester. 10. Submit new course schedule before the upcoming semester. 1. Adopt teaching practices and evaluation methods that promote equal access. 2. Collaborate with ADA Coordinator to provide accommodations. 3. Contact the ADA Coordinator with any questions or problems. 4. Treat all matters related to students with disabilities in a confidential manner. 5. Consult with the ADA Coordinator if a disagreement between a student and faculty member regarding an accommodation is not resolved. 6. Request a written agreement before allowing the student to tape record the lecture/class. 7. Do not provide academic adjustments under the guise of a disability unless a faculty notification form received. Harris-Stowe State University strives to ensure that all students, regardless of disability, are supported in their academic endeavors. The University will provide reasonable accommodations to those that have been diagnosed or identified as disabled. All requests must be in writing and the disability must be verified. Contact the ADA Coordinator at 314-340-3647 or visit the (ARC) Academic Resource Center (Room 013) located in the (HGA) Henry Given Administration Building on HSSU’s campus to apply. While ensuring the academic integrity of its programs and courses, the University is dedicated to providing reasonable accommodations needed to ensure equal access to educational opportunities for individuals with verified disabilities. An ADA Coordinator is housed in the ARC to verify eligibility and coordinate services (as defined by Section 504 of the Rehabilitation Act), while the highest standards of confidentiality are maintained. Students are required to self-identify for services and to provide requested documentation. Forms for the application process can be found on the ARC website at www.hssu.com. Students seeking academic accommodations should contact the Academic Resource Center. Students will provide documentation regarding their disabilities and will meet with the ADA Coordinator to formalize approved accommodations and discuss support and resources available. The ADA Coordinator will inform faculty members of the students’ accommodations and will consult with faculty and staff members about student disability issues. Anyone with questions regarding the academic accommodations or disabilities may contact the ARC for assistance.